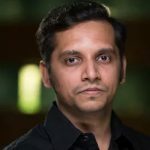 We have been closely tracking the evolution, growth and opportunities for the location ecosystem; location is one of the most important latent technology enablers that drives our ever growing, mobile-centric, lives. When location intersects with different hardware, software, services and internet it becomes extremely powerful and is a multi-billion dollar industry for solutions not only for location-centric needs of consumers (B2C) but also for enterprises (B2B) and eventually B2B2C. The location ecosystem consists of key players with end-to-end location platforms that not only empower with location data (maps) but also location intelligence (analytics). Already now, but increasing in the future, billions of devices are dependent on location as a key enabler. There are handful of players which are driving this industry with location platforms including: HERE, Google, Tom Tom, Apple and a few players in China (and limited to China). HERE is the industry’s leading, truly cross-platform (see here) horizontal and end-to-end location platform with extensive and exclusive focus (from business model perspective – see here) on providing high quality mapping content, search engine (see here) and analytics (see here) and growing organically in scale. In contrast, Google has enormous scale, but the business model is advertising driven (conflicts with many potential customers) with no exclusive focus on servicing clients with an end-end location platform. This likely puts Google at a disadvantage and makes HERE’s more singular focus on delivering location data and associated service support more suited to its B2B customers. We have also created this proprietary tool which maps business models vs opportunities with the location ecosystem. 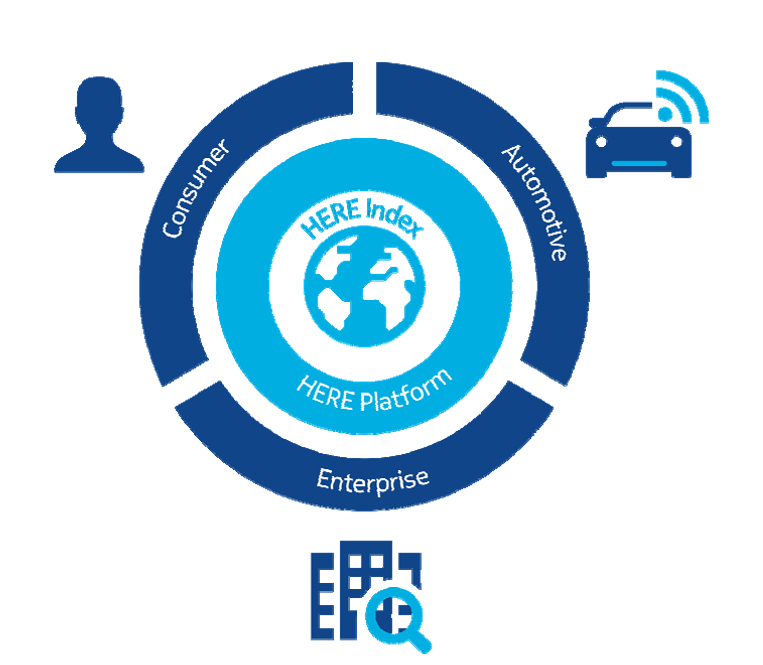 The analysis highlights a potential ‘blue ocean’ for HERE and other players in the mobility space. However the high fixed costs associated with creating high quality mapping data mean scale is an important driver in obtaining a return on the investment required. Tom Tom is more integrated, selling hardware for instance, but has also achieved some important licensing wins – for example with Apple and Uber, but it has not been able to scale and grow operationally. Meanwhile Google has mostly been pushing its location platform within its huge Android ecosystem of application developers, but is now also entering the automotive sector with Android Auto. 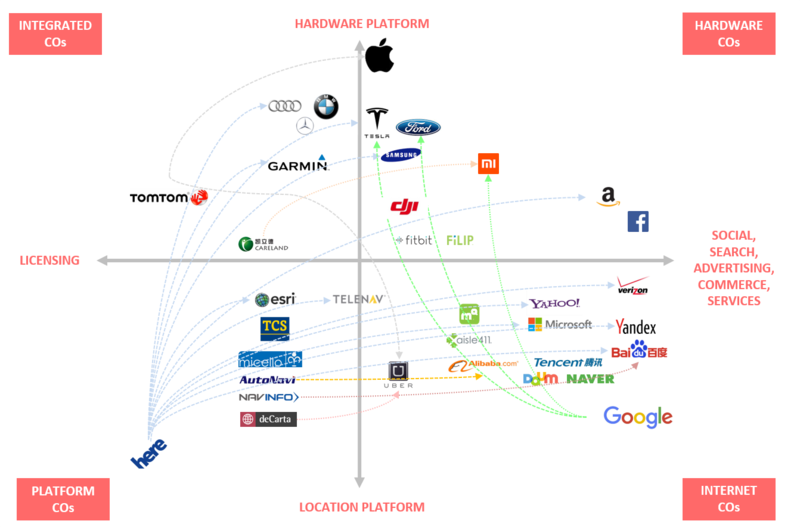 From our analysis below, it is clear HERE is well positioned compared to Google and Tom Tom, not only in terms of assets, platform breadth and depth, but also from business model perspective. Its more than a decade of experience and growing customer base should serve it well relative to its new ownership.